With the increasing addiction among people for internet and gadgets, technology is also taking big leaps to keep up with the pace and provide better experiences to all the tech savvy folks. Over time, a number of devices have marked their presence and for accessing internet people have picked up their favorites, which differ in resolution, screen size, and many other aspects. In fact, the popularity of handy devices like smartphones and tablets has increased manifold as compared to desktops; and this transition has inspired substantial changes in web designing approaches. Instead of creating different websites for different devices, web designers have adopted responsive website development to offer a uniformly great user experience across all devices. 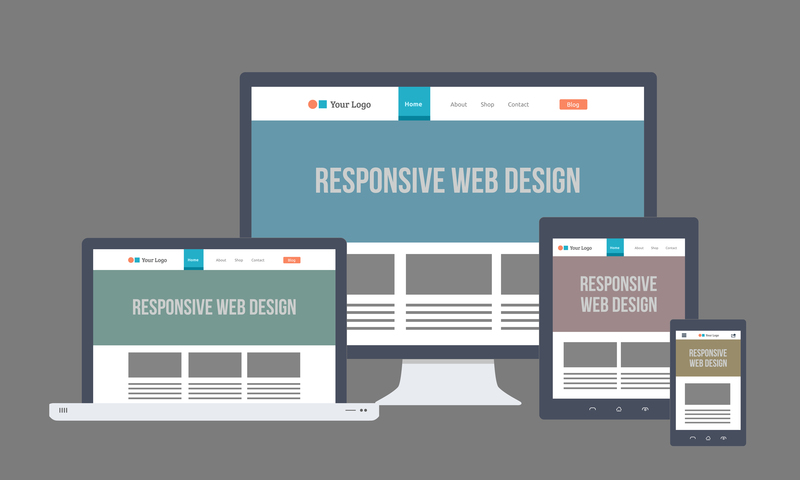 Regular websites tend to get disoriented or broken when viewed through different devices but responsive websites adjust themselves as per the device to provide optimal interacting and viewing experience. However, there are so many responsive web design challenges came across while designing such websites and the designer needs to consider several possibilities. Desktop version of any website slightly differs from its mobile version for practical reasons. User interaction differs on different devices and some features designed for a particular device might be completely irrelevant for the other. For instance, keyboard shortcuts and mouse pointers are used while interacting with desktop whereas interacting with mobile requires just our fingers. Links having a hover-over effect would be useful only in the desktop version and not for mobiles and thus such effects should be designed only for the contents that appear in the desktop version. Additionally, deciding which content should appear on which device is also crucial. Developing responsive websites is a time consuming job. As compared to regular websites, these require a lot more resources and preparation time. Testing of responsive websites is also a tedious job. Also, converting a regular website into a responsive one requires much more effort than developing one from scratch. Responsive websites need scaling of images and scaled images tend to loose details and consequently relevance. Providing different images for different devices could be a solution for this but the approach has its own pros and cons. Designers can also go with another alternative which is to crop the images as per screen size. But even with this approach, the meaning and experience of the images alter. Thus, the designers need to find appropriate ways to use an image so that its relevance remains the same across all devices. While designing a responsive website, one has to prioritize the content. The desktop version can display a lot of content on a large screen but accommodating all of it on small mobile screens might not be possible. So a website browsed through mobile should display exactly what matters, eliminating certain not-so-important contents. To design a great responsive website the designer has to consider that different devices are used under different circumstances and for different purposes. Responsive websites display the appropriate layout in different devices with the help of media queries which determine the screen size of visitors. However, old browsers like Internet Explorer version 8 and older fail to recognize media queries. To solve the issue a mobile-first approach can be adopted in which browsers which do not recognize media queries will display only mobile version. Another approach could be to use an entirely separate stylesheet for Internet Explorer. Navigation menu poses another challenge to the responsive website designers, especially for websites having multi-layer drop-down menus. Small devices have limited screen area and displaying such complex menus on them affects viewing experience. A solution to this could be hiding the navigation menu on small screens and displaying the categories through finger friendly buttons. Testing responsive websites is an elaborate process. Considering the different behavior and features of different devices, it is essential to test responsive websites extensively for both touch and regular screens. To ensure smooth working of such websites, it’s better to test them on as many devices as possible. When hit by both desktop and mobile traffic, a responsive website might become slow and may not work smoothly. Websites containing long pages and a lot of image galleries need to be optimized so that their speed and performance remain unaffected. Responsive websites offer much better user experience as they are easy to maintain, user friendly and contribute to brand consistency. However, companies involved in responsive website development take up the tougher job of creating such websites, considering and solving issues that could hamper their smooth working. Technology has no bounds and it has been spreading its wings to unimaginable extents offering ground-breaking products and services and responsive websites are certainly one of them.